The Minnesota chapter of the Women’s White Collar Defense Association launched in January 2019 to an enthusiastic membership. 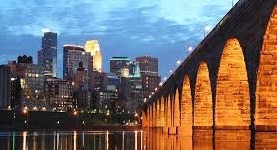 The Minnesota Chapter welcomes women lawyers whose primary practice area is white collar criminal and government enforcement defense, and comprises dynamic female litigators with diverse experiences and expertise. Our simple mission is to provide regular opportunities for Minnesota women in the white collar defense community to build and broaden their network of professional contacts and referral sources. These opportunities in turn promote diversity in the practice of criminal defense, provide networking and business development opportunities, offer educational programming, and facilitate collaboration and communication. The Minnesota Chapter looks forward to working closely with the WWCDA and all of its chapters throughout the world to help forge relationships between our practices and theirs.